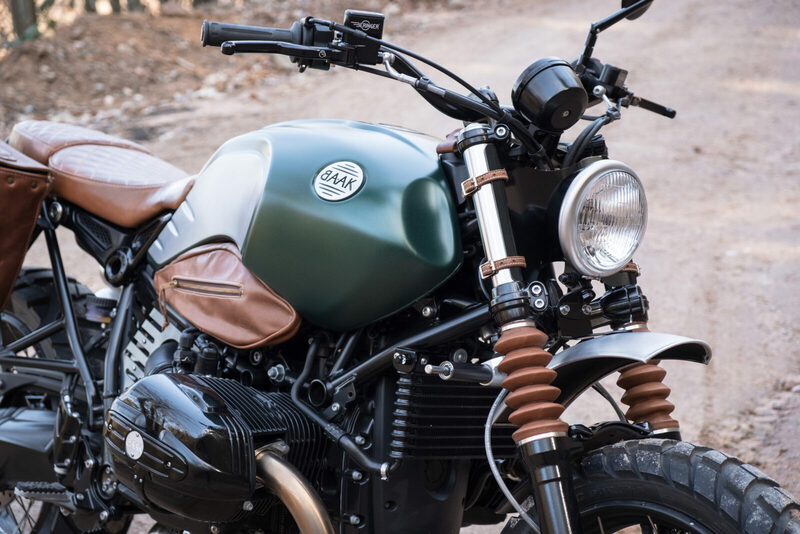 With its 1200cc horizontally opposed twin, 6-speed transmission, dry clutch, shaft drive, upside-down forks and monoshock rear – the R nineT rides as well or better than any modern motorcycle and with ~110 bhp and a top speed of 135 mph – it’s highly unlikely that even the most capable riders will ever manage to tire of it. 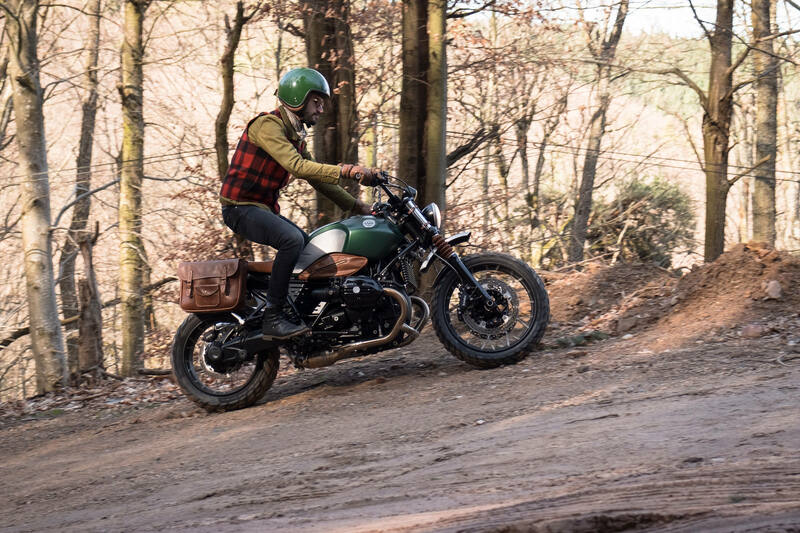 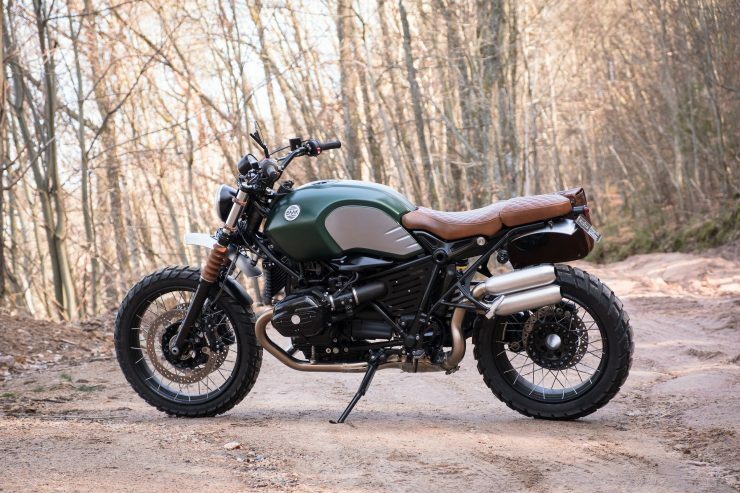 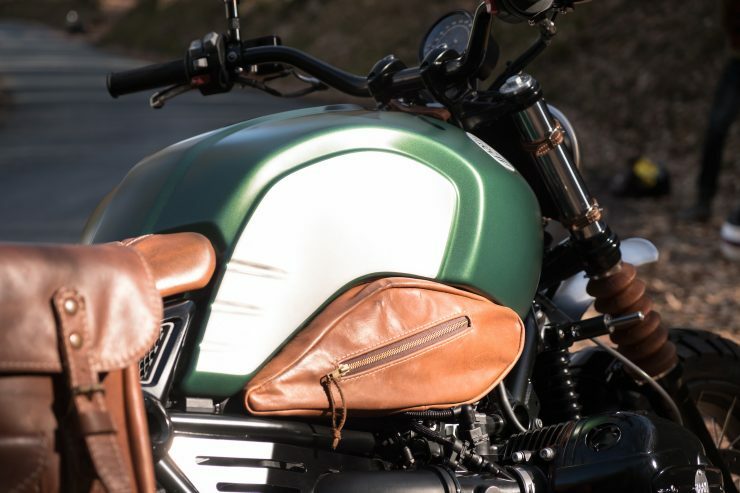 The Scrambler version of the R nineT was developed to evoke the spirit of the original scramblers, whilst keeping the practicality of a capable road-going motorcycle. 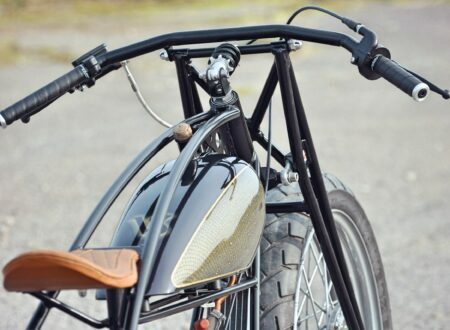 A raised exhaust was fitted, along with a new 19-inch front wheel, fork gators, and an upright seating position. 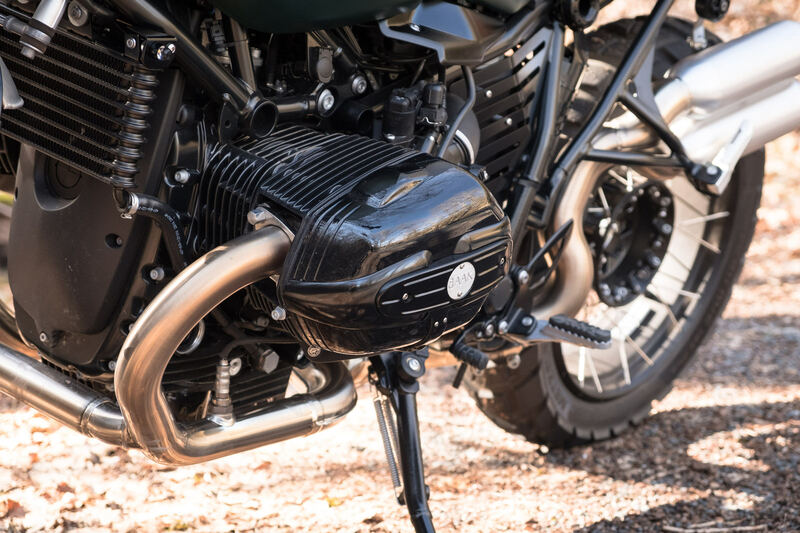 The 1170cc boxer twin produces 86 ft lbs of torque and over 100 bhp, that torque figure is ideal for off-road use where you typically travel at lower speeds and need immediate power at lower RPM. 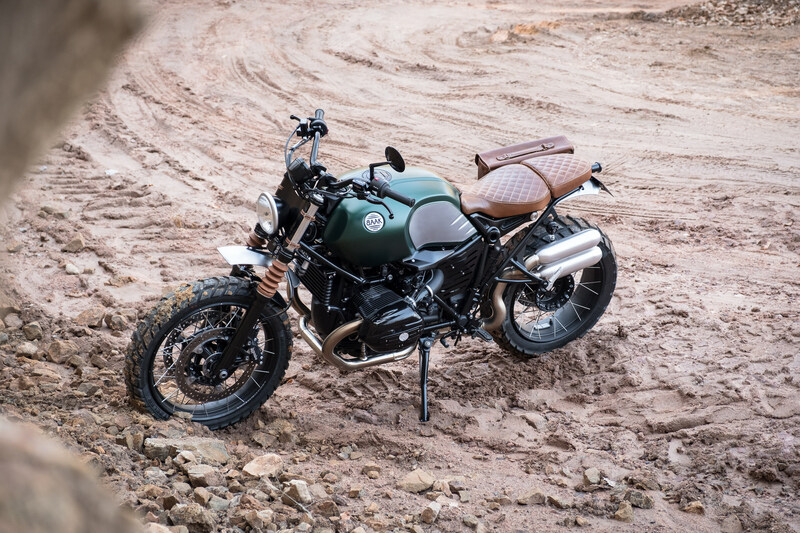 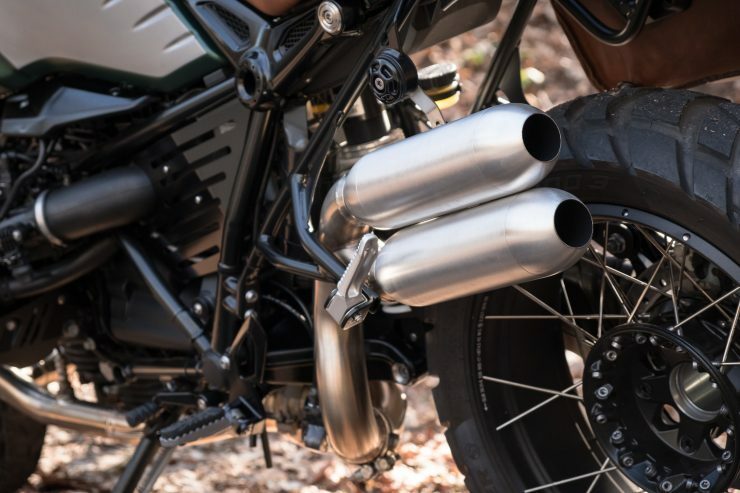 BMW offer a range of parts and accessories for the R nineT Scrambler to add to both its looks and its ability, and an increasing number of aftermarket suppliers are developing their own performance parts to improve performance further still. 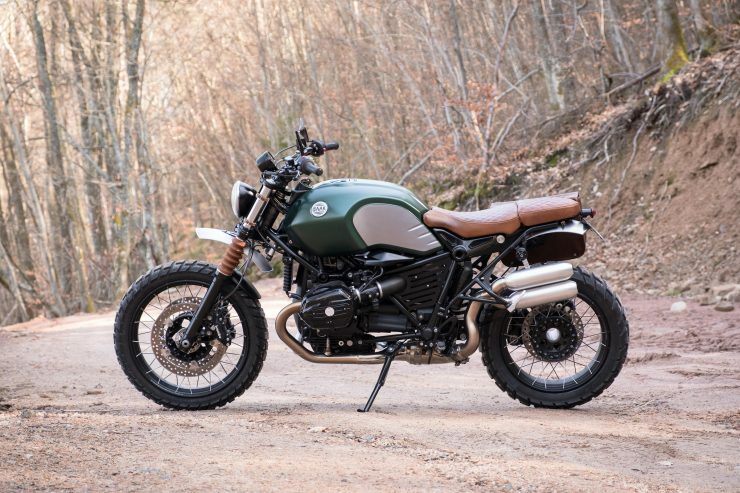 The bike you see here was bought by the team at BAAK Motocyclettes specifically to prototype a series of new parts using the R nineT to ensure perfect fitment and function. 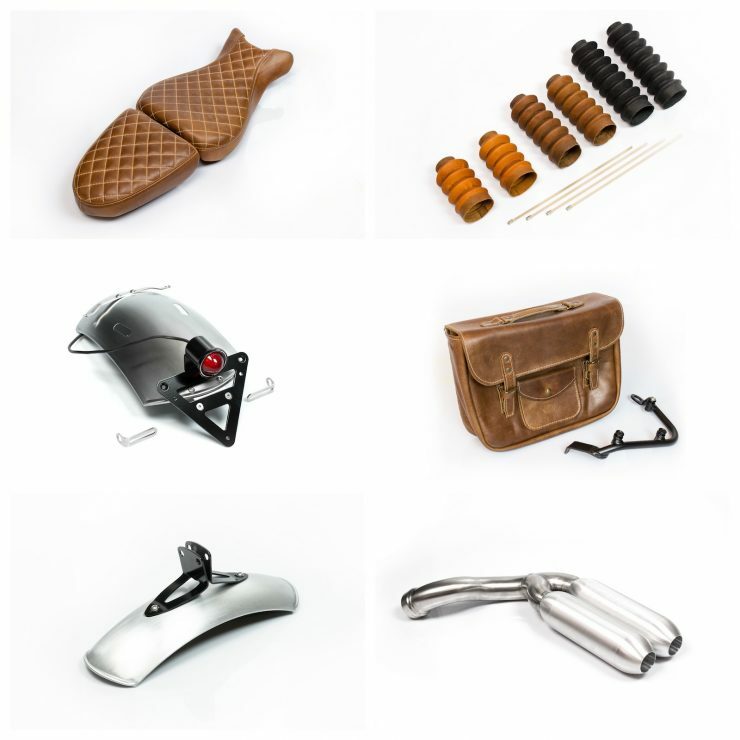 The new parts started with sketches and brainstorming, followed by CAD design and 3D printing the prototypes to ensure the fit was perfect to the millimeter, then final manufacturing takes place. 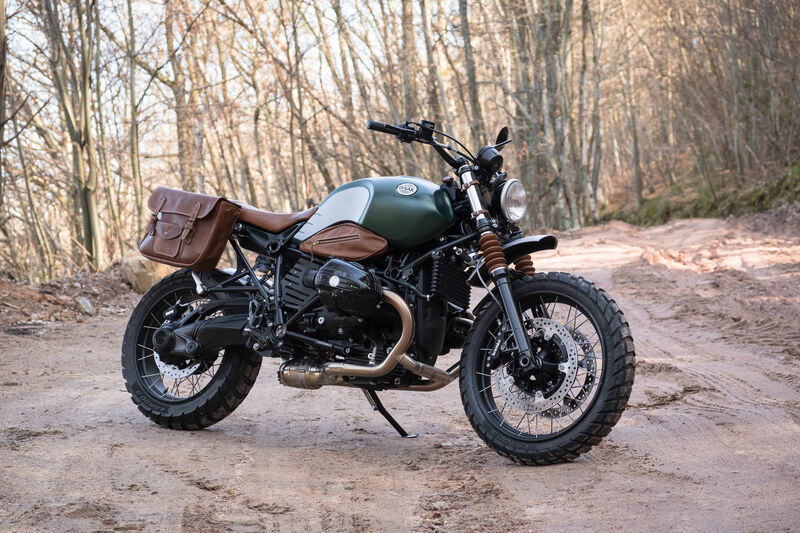 For this build it was decided to develop a new seat, pannier bag, front and rear fenders, handlebars, fork gators, and exhaust. 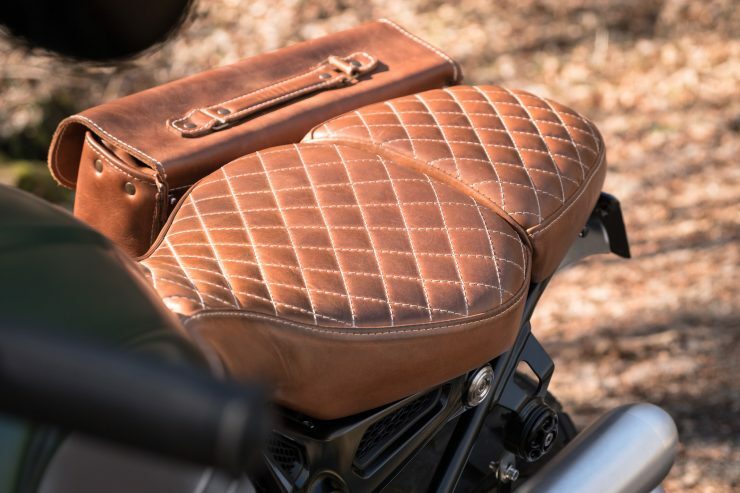 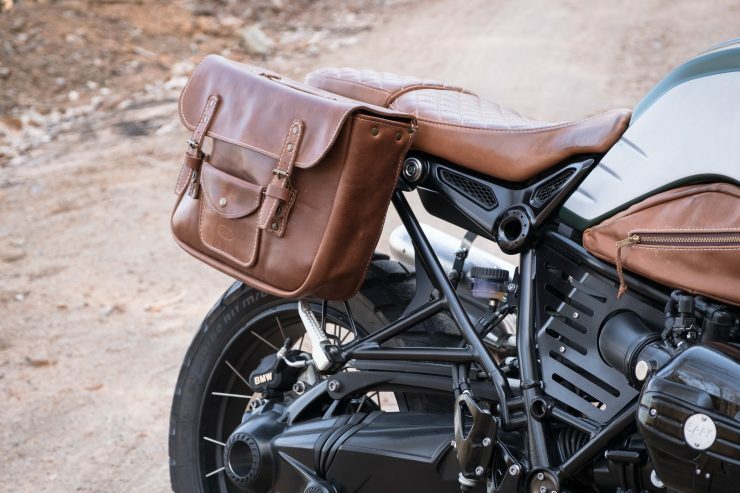 The two-part seat is made with natural double-tanned leather to match the leather pannier/saddlebag that comes with a removable bracket so it can be installed with no drilling or welding. 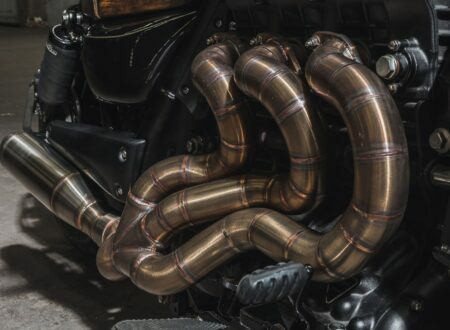 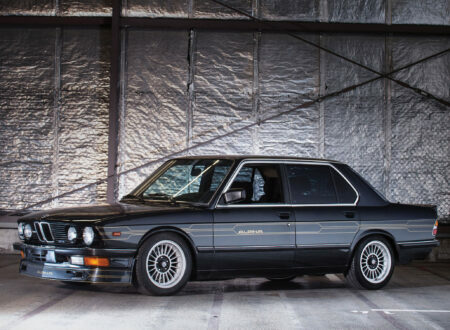 The higher-flow dual muffler exhaust bolts directly to the stock BMW exhaust manifold after the catalytic converter. 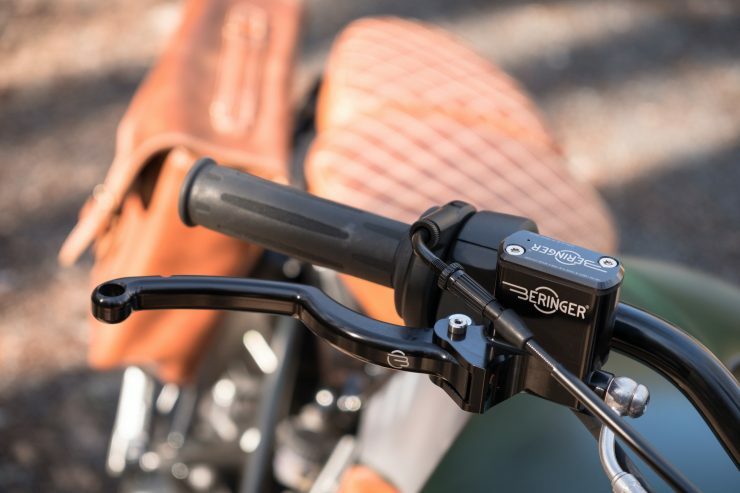 The twin matching aluminum fenders have built-in brackets, and the rear fender has a built-in brake light and license plate mount. 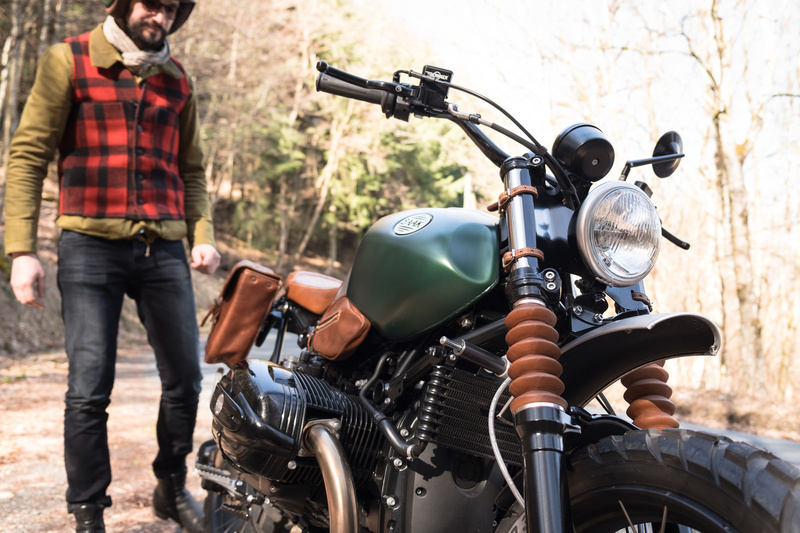 The waterproof leather used on the fork gators is designed to be long-lasting and hard-wearing, and it gives the bike a unique look when compared to the more common black rubber units. 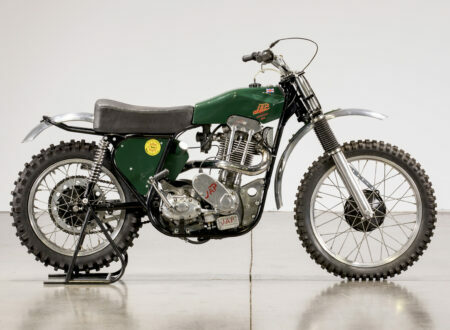 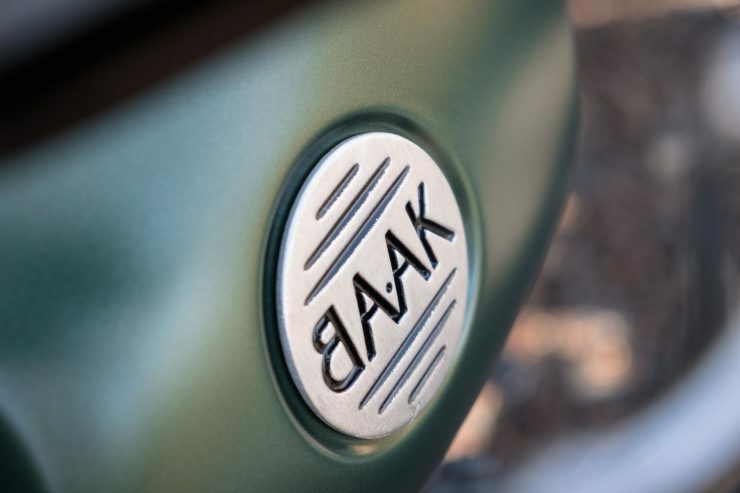 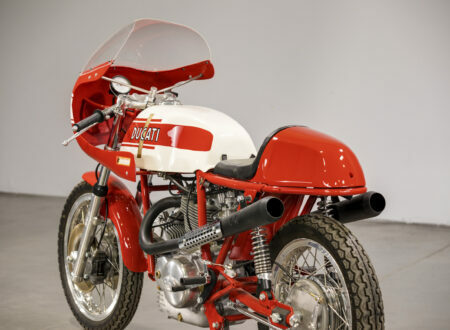 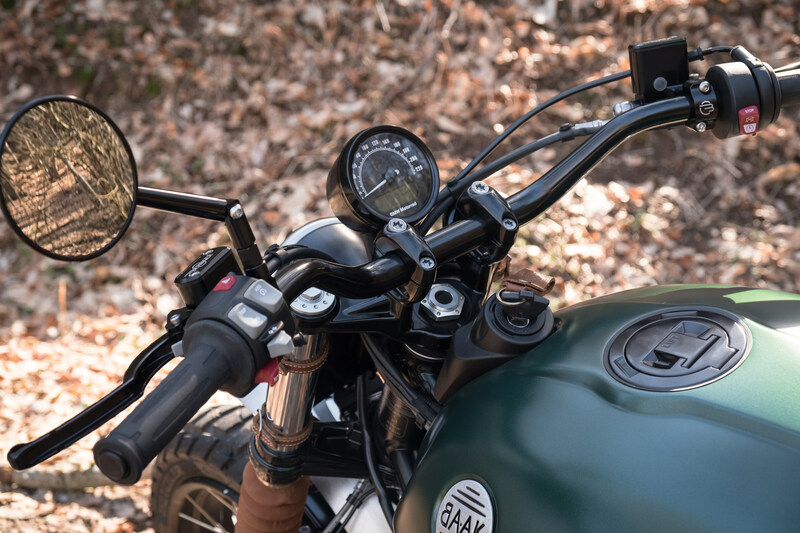 In order to further improve performance the team at Baak added a Beringer handlebar control kit (clutch and brake master cylinders and levers), and to improve looks they installed small Motogadget turn indicators and a classic round aluminium mirror. 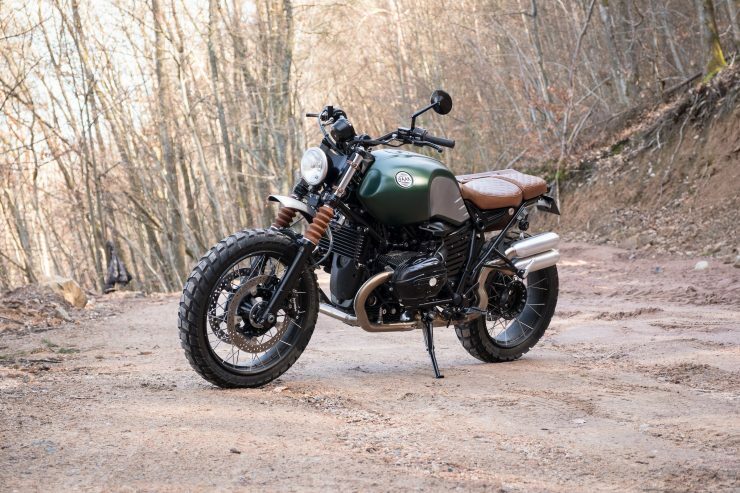 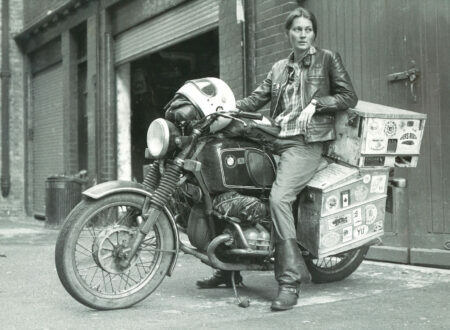 The completed bike looks like the perfect weekend adventure vehicle, and it’d work well as a weekly commuter too, particularly thanks to that pannier bag on the righthand side. 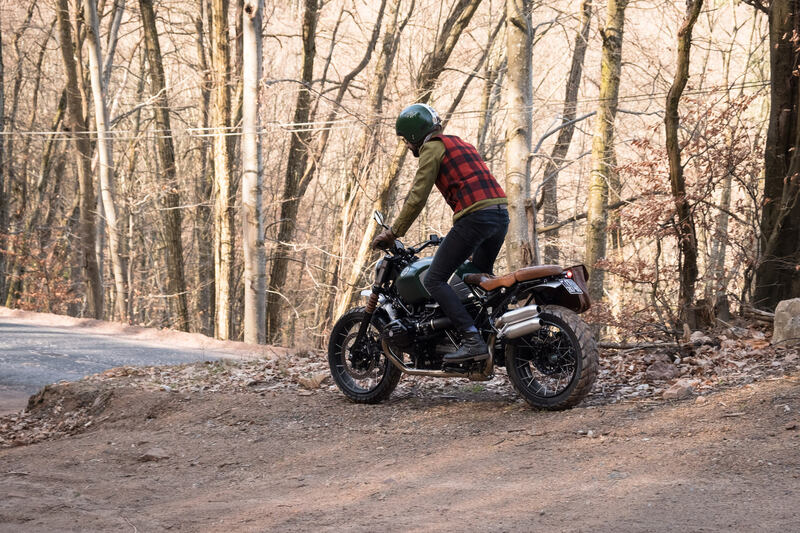 If you’d like to see more from BAAK Motocyclettes you can click here to visit their website, or you can click here to see the full listing for their BMW R nineT parts.